A small group of 6.1 students travelled to Worth Abbey, a community of 25 Roman Catholic monks who follow the rule of St. Benedict, on 5 June for a spiritual retreat. Courtesy of Clare Jarmy, we were introduced to one of the monks, David, who showed us to our humble but comfortable accommodation. That evening he took us to the chapel where we spent 30 minutes in utter silence- a rare and special experience for people who go to a boarding school! The church itself looked like a spaceship from the outside, owing to its 1960’s design; inside it’s round shape ascends towards a window in its roof which illuminates the chapel and creates a beam of light at its heart. It was interesting to experience the transition between the arduous journey there and the peace of the chapel at night compared to that of the first 6.20am service the next morning. Despite the early start, the service was made up of psalms focused on nature and the beauty of our world which set us up for a day enthralled in monastic life. After, we walked to their quiet garden filled with flowers, trees and bird song, it also provided a beautiful view of the monastery. The second morning service ‘matins’ began just past eight back in the chapel- another psalm filled service with readings from the Old Testament. Then, David joined us for breakfast where we had the chance to ask him about his faith and life as a Benedictine monk. David presented the very human side of being a monk which enlightened our perception of this way of Roman Catholic living. Mass followed; the third service of the day which brought a greater number of the public. Here, we were able to witness the breaking of bread and blessings- it is obligatory for the monks to partake in this daily Mass service and was special for us to join this essential part of their lives. After a brief visit to the chapel library we made lunch, thanks to a welcome Tesco’s delivery, and were able to discuss thoughts on our experience of monastic life so far. The last service we attended lasted for ten minutes and was a perfect end to what had been a thoroughly thought provoking and enriching experience. Thank you Clare and Benedict for taking us! Alongside running through a brief history of Artificial Intelligence (AI), in a recent Jaw on the topic of AI I posed questions such as “What would it take for a computer to be considered minded?” and “What is intelligence?” I also considered in what ways we ourselves might exhibit ‘Artificial Intelligence’. A human can follow instructions to accomplish a task of which she is ignorant, can regurgitate arguments that appear to demonstrate high level analysis but are only acts of remembering and can even reach a conclusion without understanding what it means. To be pawns in a game we do not understand, to be made to think we have arrived at a conclusion ourselves when the result was pre programmed; in these ways we might exhibit Artificial Intelligence. Working in tandem with Roly Botha (Block 5), we were able to demonstrate this principle when the crowd chose two teachers, one of whom who appeared to read the mind of the other, without either party knowing how the very ‘trick’ (effect) they performed had been accomplished. I concluded on a cautionary note by inviting the audience to consider how humanity’s future relationship with Augmented Reality technology might, if used uncritically, allow us to live passive lives, acting without understanding and without intelligence. At Bedales pre-prep Dunannie, little people are encouraged to think about big ideas. This academic year, pupils in Year 3 (age 7 – 8 years) have started dedicated lessons in Philosophy led by Bedales Head of Philosophy, Clare Jarmy and Dunannie Year 3 teacher Catherine Claasen. The sessions follow the form of a Community of Inquiry, where students have a stimulus for discussion, break into groups, and reassemble to address big questions. Students have asked whether we can know that this world is not a dream, whether there would be any reason to be good if you were invisible, and whether we can think of nothing, amongst many other things. When they were discussing nothingness, the children were also asked to listen to a unique orchestral recording by John Cage entitled ‘4 minutes & 33 seconds’ and give their own opinions on what he was trying to achieve through devising the piece. The children took part in a three schools video on Philosophy, Religion and Ethics (PRE), which featured students across Dunannie, Dunhurst and Bedales and their thoughts on Philosophy. 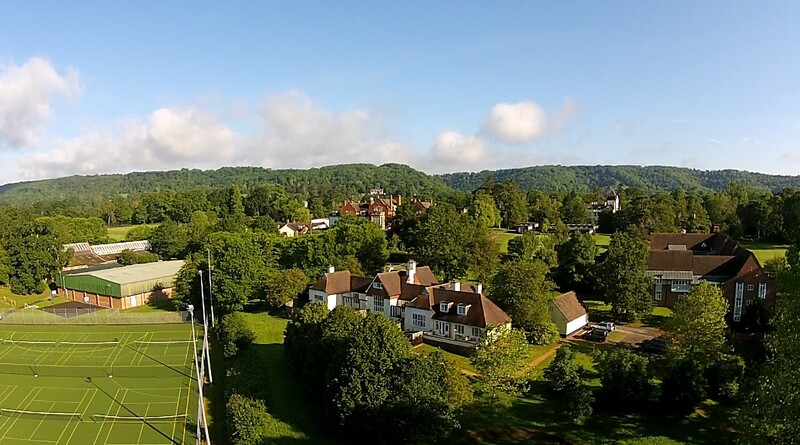 At Bedales, an innovative curriculum, where students study everything from time travel to artificial intelligence, to whether good is only what society permits, is augmented with lectures and workshops with professional philosophers. Nigel Warburton, who is one of the most celebrated interpreters of Philosophy for a younger audience, is the judge for the Bedales Philosophy Essay Prize. Last term the school welcomed its first ever Philosopher in Residence, Professor Keith Ward, Emeritus Regius Professor of Divinity at Oxford University. Professor Ward spent time discussing philosophical questions with students, including such diverse topics as the nature and possibility of a utopia, whether genes define us, ethics, religious language, the existence of evil, quantum physics and the nature of reality. In addition to partaking in intellectual debate, the students benefitted from his advice on their studies and university. Clare’s book Arguments for God, is published by Pushme Press, and will be available in the summer. This term, Bedales welcomed Father Luke Jolly of Worth Abbey as Contemplative in Residence. As part of his stay, Fr Luke ran a special school assembly, know in Bedales as a ‘Jaw’, on the topic of vocations. Fr Luke also accompanied the students on walks around the school’s estate and a special early morning walk to the Poet’s Stone with breakfast. His stay gave the students some respite between study and exam revision to enjoy calm and quiet reflection. In a busy world of exams, deadlines, standards to achieve, revision to do, and university offers to make, it can feel as though life is constant activity; that we have become human doings and not human beings. Fr Luke Jolly joined us last week as Contemplative in Residence, offering students opportunities for calm and quiet reflection during this busy term. “Everyone”, Fr Luke says “has a contemplative side”, but modern life doesn’t always make it easy for us to use it. The programme for the week offered quiet walks on site, as well as an early morning walk to the Poet’s Stone with breakfast. There were also times to reflect on themes like “who am I?” and “what’s important in life?” Students were able to come and talk to Fr Luke, whether just bumping into him around the site, or more formally, by setting up a time to see him. On Wednesday, Fr Luke gave Jaw, in which his topic was Vocations – a word used often in a religious context, but much less often in our own. Your vocation is that which you are called to do; leading a life that best fits who you are. Fr Luke encouraged students to think about their life not in terms just of what they do, but of who they are – to seek in life something in which they can flourish by finding their niche; the way in which they can uniquely contribute to the world. Watch a video of Fr Luke speaking about vocations. Pupils from Bedales Pre-Prep Dunannie have enjoyed studying subjects inspired by a variety of influences from aeronautical engineering to a stage play of Michael Morpurgo’s Farm Boy. 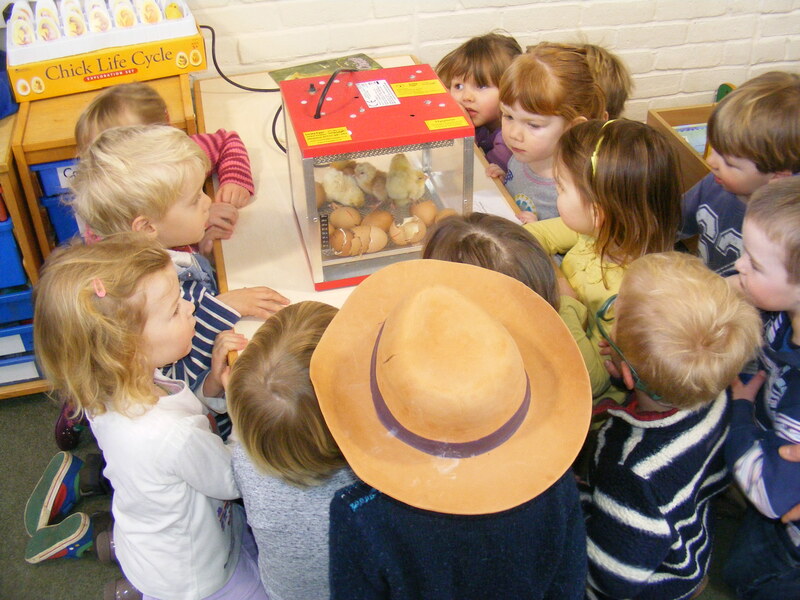 As the term draws to a close they also witnessed the hatching of live chicken eggs, with the children watching enthralled as two chicks hatched during a lesson. Seven chicks are now thriving in the incubator located in Year 1’s classroom and the children are taking it in turns to help feed and care for them before the Easter break when they will be cared for at home by the teaching staff. Tarrant. Philosophy also features in the curriculum for Year 3, with a session led by Bedales Head of Philosophy, Religion and Ethics, Clare Jarmy as part of the school’s RE lessons. it is to keep a helicopter level. They also dressed up in overalls, boots, helmets and flying suits. The boots had actually been taken from a German prisoner and were huge. ‘awesome’ and ‘funny’ and enjoyed the beautifully written tale, which was a sequel to War Horse.